Dr. Aberle is a professor of Radiology in the School of Medicine and professor of Bioengineering in the Henry Samueli School of Engineering and Applied Sciences. She is board-certified in both Internal Medicine and Diagnostic Radiology. Dr. Aberle earned her MD degree in 1979 at the University of Kansas in Kansas City, KS and completed a residency in Internal Medicine at Boston University Medical School in 1982. She completed a residency in Diagnostic Radiology at UCLA in 1982, and subspecialty training in thoracic imaging at the University of California, San Francisco. 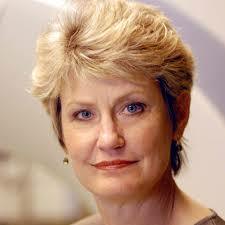 She has been on faculty in Radiological Sciences since 1987, and was the Section Chief of Thoracic Imaging from 1988 to 2005. Dr. Aberle is the Vice Chair of Research in Radiological Sciences and a faculty member in the interdisciplinary Biomedical Physics and the Medical Imaging Informatics training programs, both sponsored by the National Institutes of Health. Dr. Aberle served as the national Principal Investigator of the ACRIN-NLST (American College of Radiology Imaging Network component of the National Lung Screening Trial). The NLST is an NCI-sponsored randomized controlled trial to compare the efficacy of low dose helical CT versus chest radiography for lung cancer screening. The NLST is the joint collaboration of ACRIN and the Lung Screening Study. Her research also centers on lung cancer and oncologic imaging for response assessment; quantitative image analysis, and oncology informatics.